Dr. Marge Hoctor was has worked with student teachers at USC for ten years, and has been a member of the faculty for the MAT@USC program since it began in 2009. Prior to that she was a classroom teacher in a large urban K-12 school district, after which she became an administrator at the District Office where she coordinated several district-wide programs, including Curriculum, K-12 Gifted and Talented Education (GATE), School Libraries, and Media and Technology. She was a consultant for the Orange County Department of Education, and for Renzulli Learning Systems. 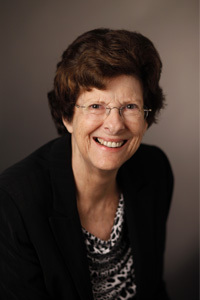 She held leadership positions in local, state and national professional organizations, including chair of the Technology Committee for the National Association for Gifted Children (NAGC) and chair of annual conferences for California Association for the Gifted and Computer Using Educators (CUE). She was president of the Orange County Council for Gifted and Talented Education, Orange County Computer Using Educators, and of the California Association for the Gifted. Honors and awards include the Award of Recognition and the Award of Achievement from the California Association for the Gifted and the Gold Disk Award and the Platinum Disk Award from California Computer Using Educators. She earned a Masters Degree in Educational Administration from California State University Long Beach and a Doctorate in Teacher Education in a Multicultural Society from the University of Southern California. Areas of interest include gifted and talented education and preservice and inservice teacher education. She currently teaches classes in the MAT program including Pedagogy, Human Differences, Guided Practice, and Capstone.